I have a confession to make that I might have to whisper. You may also want to sit down. Ready? OK. I really wasn’t very keen on Rome.I tried, I promise you. I really, really tried. I love Italy and I love pizza, so following this logic I thought Rome would have been a sure thing. Sadly, it wasn’t. Let me (try to) explain. 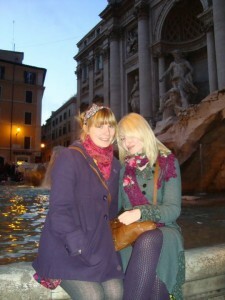 My friend Amy and I visited the Italian capital back in early January 2011, when the Christmas trees were still up and the weather still nippy. Almost the same thing, right? 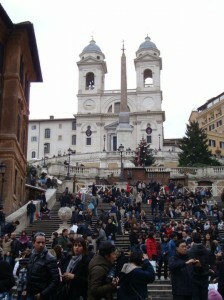 After galavanting round the general area for a good half hour, we finally found the Spanish Steps. I’ve only ever seen beautiful pictures of the steps in the sunshine or filled with colourful flowers. So, as we arrived on an overcast day with people lining the steps, it’s fair to see this wasn’t what we were expecting! We didn’t fare much better at the Trevi fountain, either. With crowds of people pushing and shoving to the front to get a picture alongside it, the atmosphere wasn’t as special as I thought it would have been. Mind you, that didn’t stop us snapping up our very pic in front of the fountain – even if we did have to fight our way through a bit! 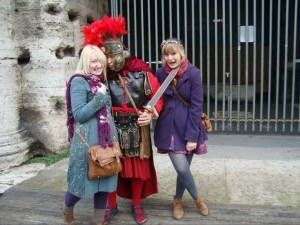 Outside the Colosseum we were accosted by several men dressed up as gladiators. It’s a bit of a tourist trap around here (as expected) but we managed to duck and dive between most of them – until, well…I’ll let the my face speak for my horror. But there were some really great bits, too! 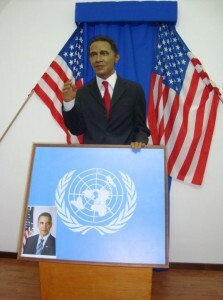 Make sure you take in a visit to the wax museum, Museo delle Cere. Once you overlook the porridge complexions of the mannequins, it’s pretty good fun. 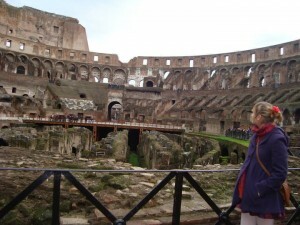 And, of course, as a History geek I loved exploring the Colosseum itself. It was quite surreal to see somewhere I’d read so much about in the flesh (stone?) It really is a spectacular sight. 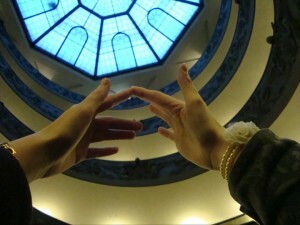 It’s natural that, whilst on your travels, you’re likely to come across some places that you just don’t click with. 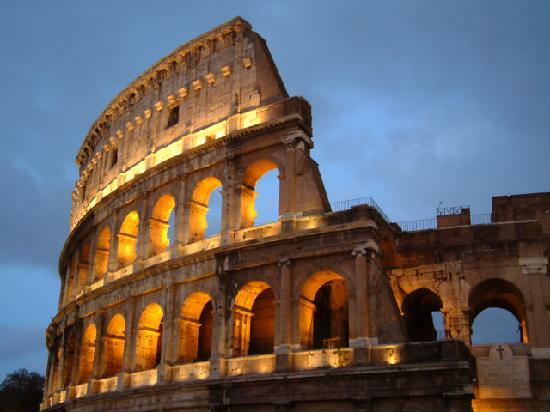 While I can certainly see the attraction of Rome for many people, it sadly didn’t do it for me. I still had lots of fun exploring the city with Amy, but I found both Venice and Naples a lot more charming and they would definitely be my recommendations for those visiting Italy. 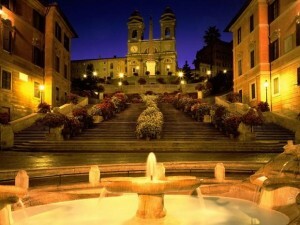 It’s hard to pinpoint exactly why Rome didn’t float my boat. Maybe it’s because I felt like there were too many places to see? 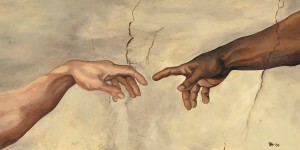 Maybe it’s because I didn’t take the sights as they were, and was too busy comparing them to my preconceptions? Or maybe it’s because I’d just set my expectations too high? Have you ever visited somewhere that didn’t live up to your expectations? Ha no way! I was actually planning a similar sort of post for the future – So it definitely wasn’t just you that felt that way Miss! Granted my experience wasn’t helped by the attempted (but thankfully unsuccessful) pickpocketing I suffered, but even without that Rome didn’t really enchant me! And oh no, pickpocketing? 🙁 That’s the worst.